Consumers Energy Co. is leading the charge to bring electric-vehicle infrastructure to Michigan. As automakers look to electricity to fuel future vehicles, the Michigan Public Service Commission approved this week the state's first EV infrastructure pilot program. The three-year, $10 million incentive program would provide rebates for electric vehicle chargers and a special rate for nighttime charging. 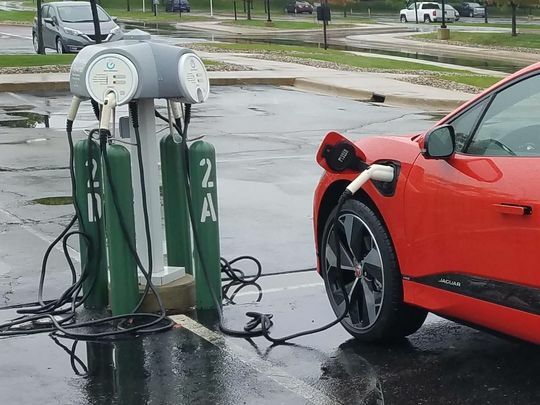 "Fundamentally, electric vehicles are good for Michigan and good for the state’s economy," said Brian Wheeler, Consumers Energy senior public information director. "We know that Michigan's automakers are looking toward electric vehicles being the future. We have a role here to use our expertise and abilities to help promote that."